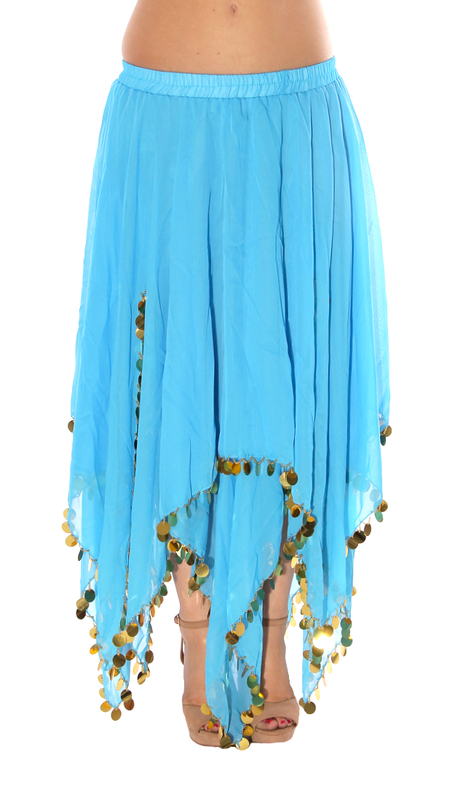 This 2 layer chiffon handkerchief skirt is made with a gold paillette and beading trim. Two slits in the front on both layers. This 2 layer chiffon handkerchief skirt is made with a gold paillette and beading trim. Two slits in the front on both layers. 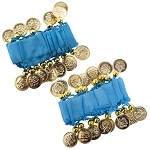 A fantastic piece for any style of Belly Dance costume and is also great for layering. 2107 - GZ no longer carries this item.